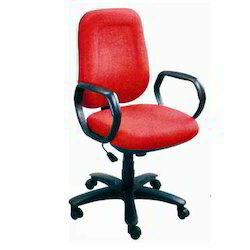 Prominent & Leading Supplier and Manufacturer from New Delhi, we offer Workstation Chairs such as Revolving Workstation Chair, Executive Workstation Chair, Office Workstation Chair and Workstation Chair. 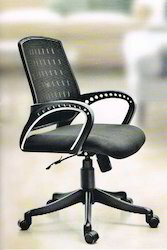 Mesh Chair ideal for BPOs and call centers, this array reflects authority in a rather trendy way. Its ergonomically designed backrest tails behind for support in any position, while the arm rest and wheels ensure a smooth and relaxed day. 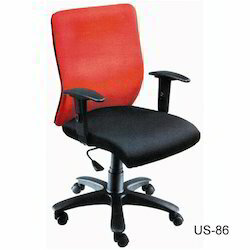 Revolving Workstation Chair are available in a variety of color, design and sizes, our products have been able to cater to the needs of our clients. All our offered products are manufactured and designed under guidance of expert professionals in order to ensure its smooth functioning. 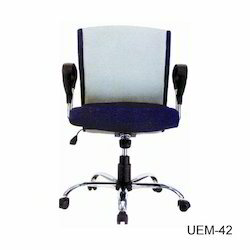 Executive Workstation Chair that we manufacture and design are the result of our domain knowledge. Since inception, our commitment is to manufacture a range that meets clients' demands in an efficient manner. Moreover, this range is preferred by our large number of clients. 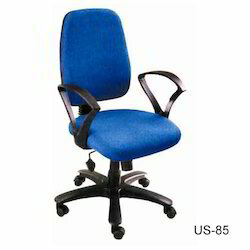 Precisely designed in compliance with organization laid quality parameters, Workstation Chair that we offer to the dearest customers has been possible because of our endeavors and vast domain knowledge. Backed by the assistance of our team of expert professionals, this offered executive chair is inspected carefully on varied parameters in order to make sure its flawlessness. We are instrumental in presenting our wide number of clients across the country a qualitative range of Office Workstation Chair that are designed as per current trends of the market while also keeping in mind organizational ethics. For that matter, our offered range have been largely appreciated by our clients.